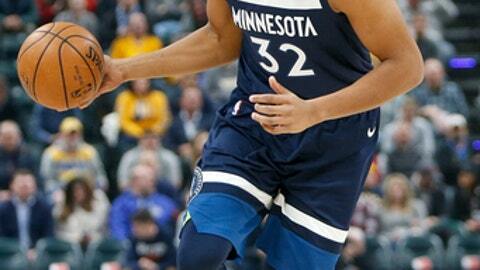 INDIANAPOLIS (AP) The Minnesota Timberwolves never forgot about their loss to the Pacers early in the season. And it was all the motivation they needed to come out strong in Sunday’s rematch. Indiana missed 12 shots, turned it over five times, fell behind 17-0 to start the game, and didn’t score until Domantas Sabonis’ hook shoot at the 5:15 mark in the first quarter. The Pacers scored just 13 points in the opening period – their season low for points in a quarter – and all 13 points came off the bench.